First booth we quick walked to was eagle games. This was to pick up Francis Drake. I think we were likely the first ones there as the demo table was still covered under a cloth. But really the true hotness was one row behind for Patchistory. That game sold out in possibly less than an hour. I wasn't too bothered as it wasn't on my list but some of my friends did want to chek it out. Well, not today I guess. 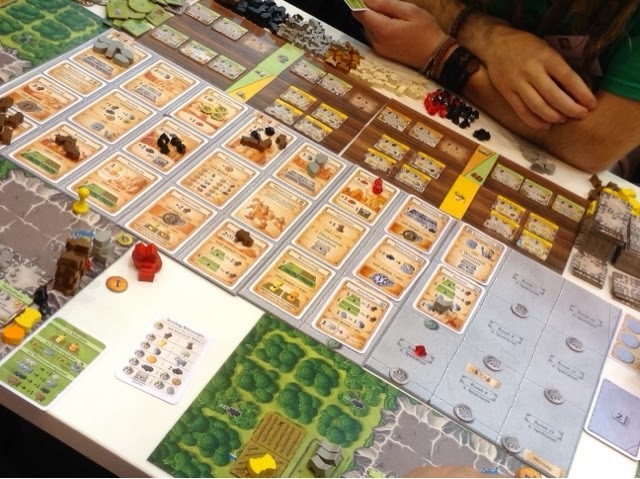 The other hotness as far as I could tell was Caverna. 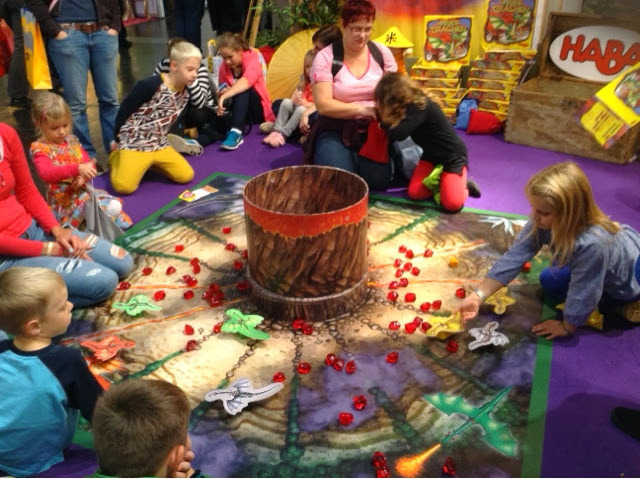 It was being played nearly at most booths that could showcase the game. Mostly German versions though. English were preorders only and will only start main distribution tomorrow morning. 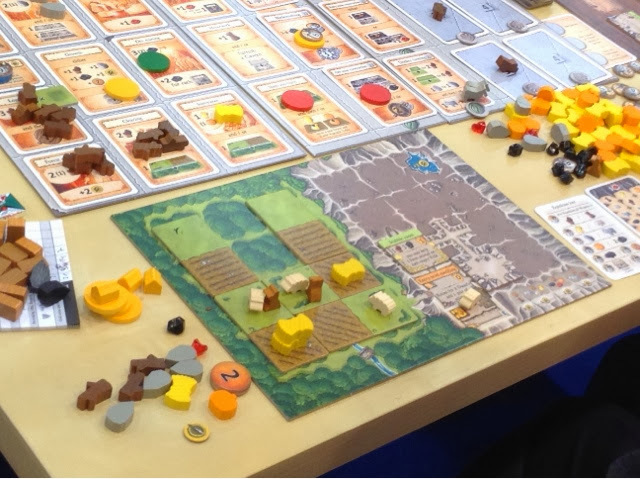 It looks pretty nice but I really don't like Agricola, so whatever. I'll try to get a demo in if possible but it's not really on the top of my to do list right now. 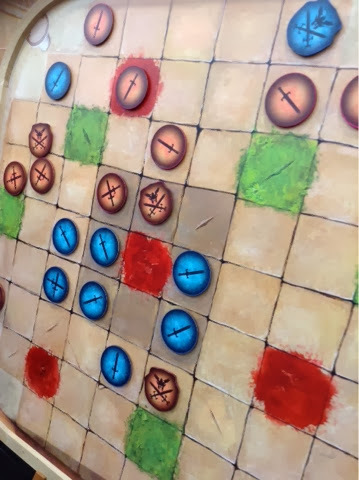 Amerigo was also literally everywhere considering Queen Games had booths in both halls 1 & 3. Seriously I wonder how much money was raised from kickstarter to pay for the booths. 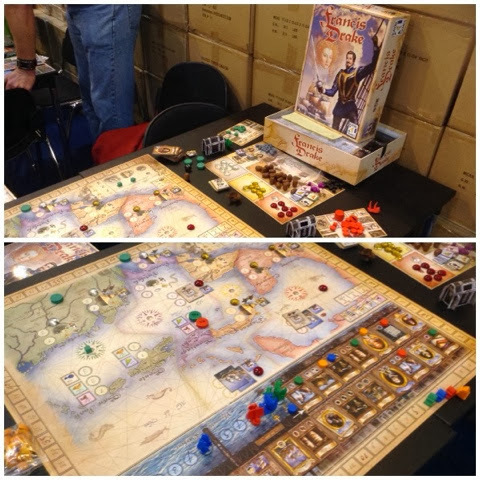 The main game at the booth was Amerigo. But you could find lots of escape and Templar as well. Lost legends had a few tables but mostly overshadowed by the rest. I got a game of Amerigo in, you'll read more about that in another post hopefully. We stopped for a game explanation or two, but really, demos were hard to get into as the tables were jammed packed on opening day morning. We merely made purchase runs, dumped the games back at the hotel and made purposeful trips to get demos in which I think was a smart decision on our part. 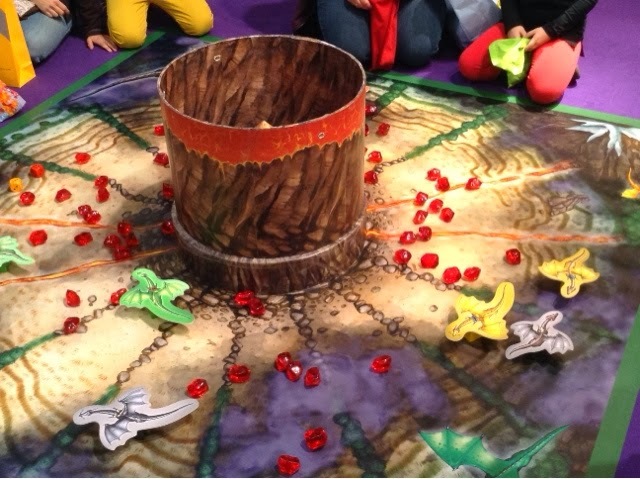 Above are photos of just some of the other games you could find along the way. 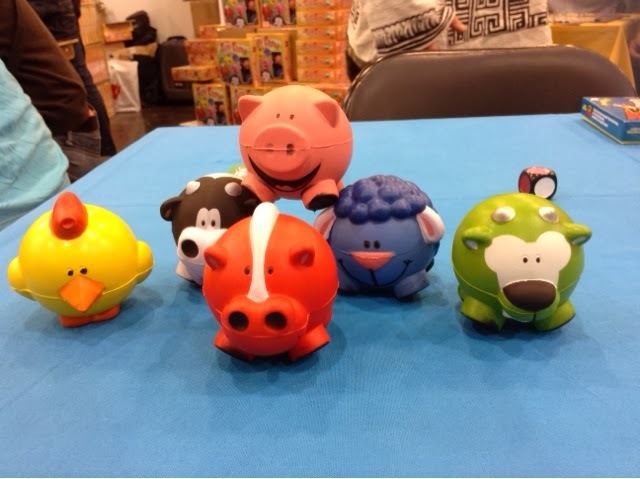 The animal toys are from fun farm which is simply a speed game where you roll dice and grab the animal if it's corresponding dice came up after the roll. Not worth Euro 25 but I might pick it up for the animals if there's a subsequent sale. 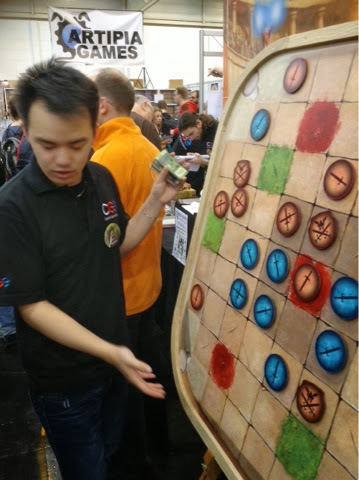 We popped by Granna booth for a look at CV, there was a free table but the guy didn't offer to let us demo, merely explained it to us. Not sure why he didn't try to sell the game to us. They weren't busy after all. Well, too bad, the art was nice and I might have considered if he had tried to sell it to me instead of merely telling me what I actually already knew. 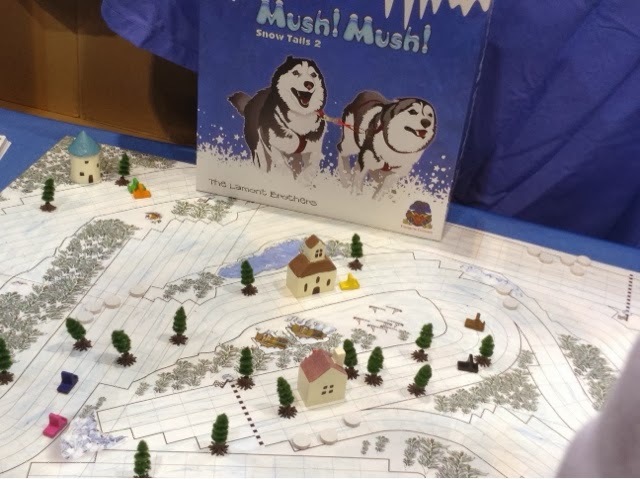 Mush Mush was there and the bits were boring ( IMO ). Its like snow tails but redone to make more money. There I said it. It's like they know they can publish something and it will be bought cos it's always in limited quantities. After awhile that tactic gets old I I think. 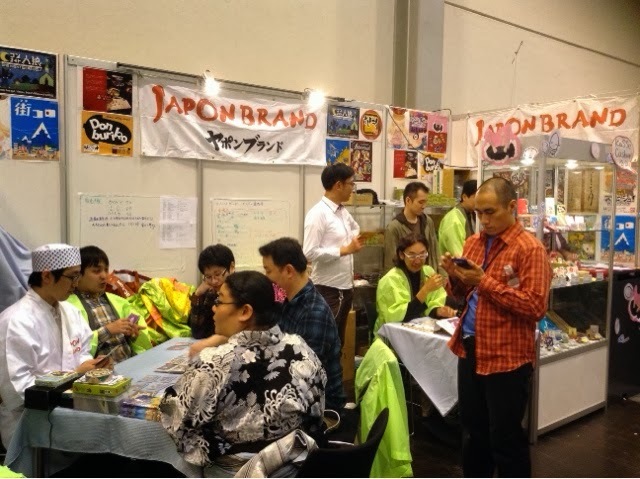 Japon Brand's booth was crowded the whole morning till most of the games were sold out. I only went in the afternoon to pick up my preorders when the madness died down. By 1pm or so they were sold out on sails to India, machi koro, and the memory antique selling game that I didn't bother to note the name of. I think heart if crown might have been gone too. 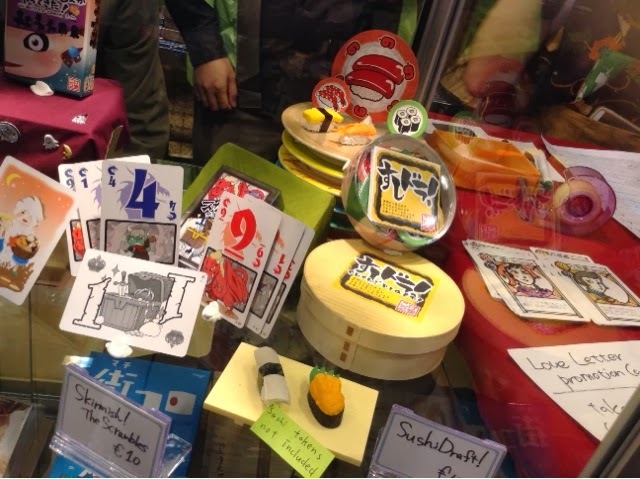 But seriously, which packaging like sushi draft above, how could anyone resist ? I couldn't. Haha. The biggest disappointment for me ( which did not include buying of games ) was Portal Games's booth. 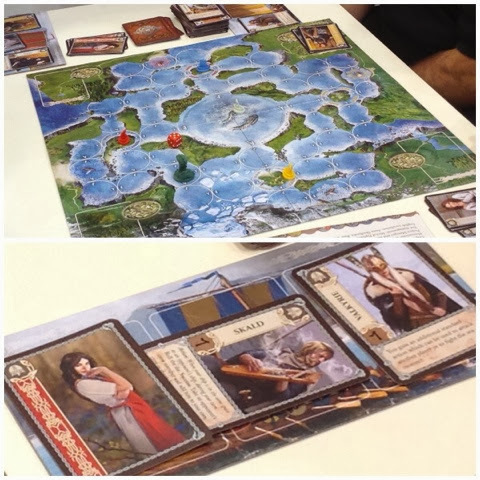 They had hyped up legacy and Vikings to the high heavens but really only opened one demo table for each game. Yes, 2 tables for legacy and Vikings combined. What ! You had to wait HOURS to get a demo in. 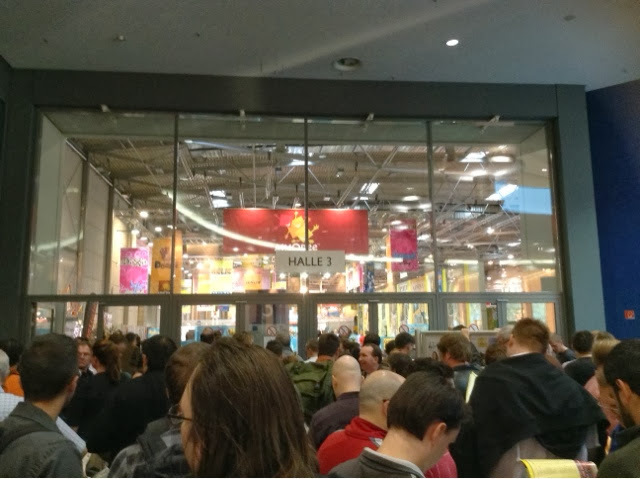 I know space is premium and expensive, but if you are going to open ONE table, please limit the play time for the demo. They let you play the full game if you wanted. Sheesh. Really no control at the booth. I skipped after my third try. What a bloody waste of time. 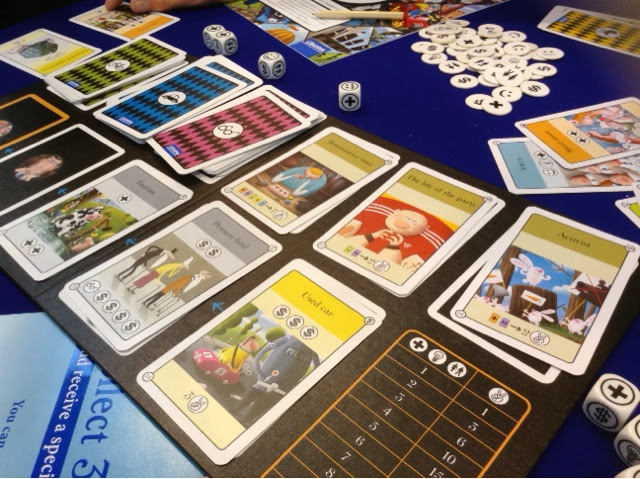 In fact, the only way to take some nice shot of legacy was at the BGG booth where they weren't people crowding round the table. So that's the only shot I am going to post of legacy. Well, last pictures of the day are from the CGE booth. 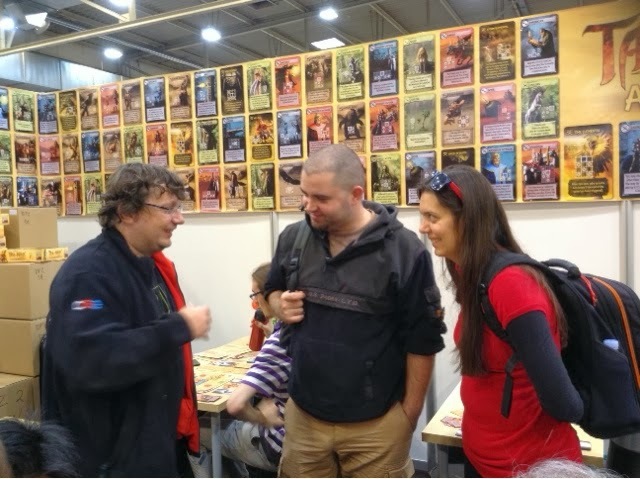 A shout out to Michal for taking the time to explain us how to play Tzah Arena (?) on the really nice fancy board. I would love to get the proper names for the games folks but the wifi here is terrible. I can't load the geek. I even hope this long point eventually goes through. Fingers crossed. But anyway, the tables were full and so we got a short lesson by the board. But when we came back he actually told us which table was going to be done and sent my two friends there for the demo. Not my type of game so I let the 2 chess players take centerstage. They liked it, and they may get it tomorrow. It was nice to see Vlaada walking around talking to people too. Seemed friendly and I really like how CGE runs their business and all. Top notch ! Well, that's enough for the day. I hope this gets loaded quickly so I can crash for tomorrow. Are you sure Vikings is a Portal game? 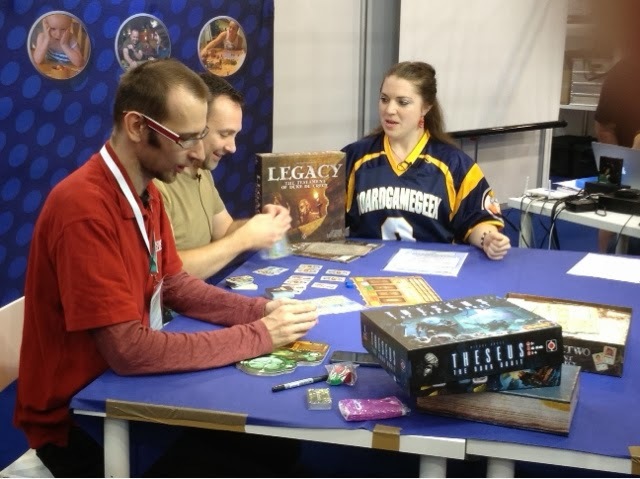 I had no problem demoing Legacy, and it was in my top 5 of the show...had one of my best gaming experiences ever playing it at the hotel the night following...I think Portal did what they could with the space they were allotted! I also picked up Theseus...not sure about that one yet. Some command and control for a small booth would do wonders for publicity. 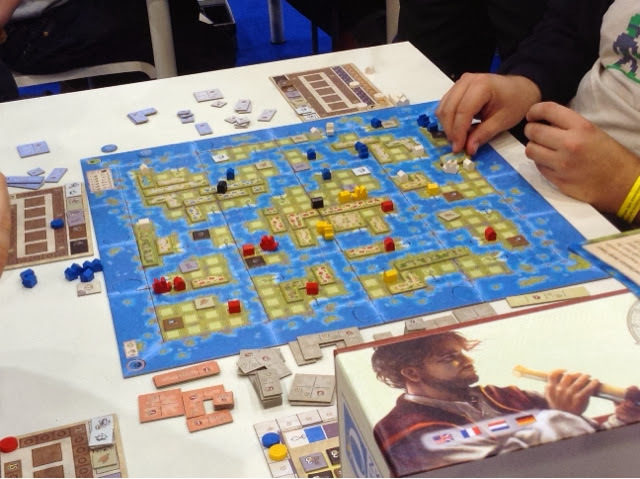 People were playing Amerigo full games as well but there were tables and tables of the game. So that's more understandable.